the fash pack: we want! 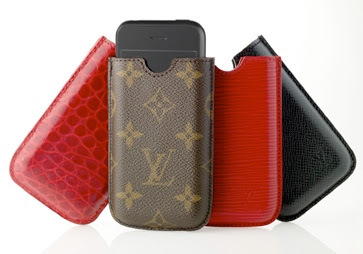 it certainly didn't take louis vuitton long to come up with a case for the iphone. just released last week, and only available in the manhattan flagship store, there are four choices: monogram canvas, red epi, black taïga, and a gorgeous red alligator. now for the damage: would you like to spend half of what you paid for the iphone ($225 for the monogram)? or would you like to spend more than twice ($1,120 for the alligator)? DArn! I want the case, not necessarily the phone! hahaha!